We are pleased to introduce to you the PBC Reward programme. 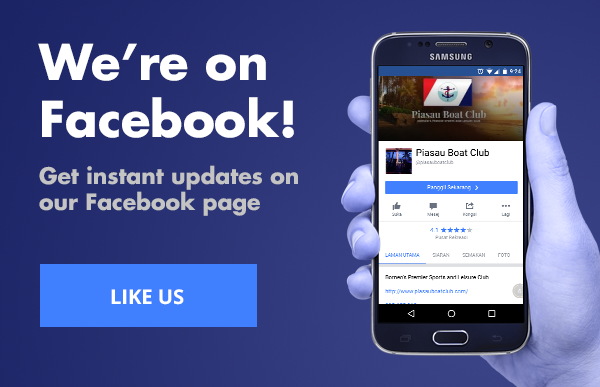 It is your club’s way of thanking you for being a member and for making Piasau Boat Club the local “Best Sports and Leisure Club” since 1975. We believe that sports and leisure is the choice — your choice — to stay healthy and there is no better way to do it than within a secluded area with unique dining opportunities, overlooking a beautiful sunset of the South China Sea. No matter who you are, patronizing and dining at the Piasau Boat Club is a rewarding experience. To enhance that for our members, we create the reward programme, giving rebates depending on your how much you spend. The more you spend, the more rebate you will get. This reward programme will be effective from 21st August 2018. Note that this will be in addition to the 10% discounted price that members enjoy today. 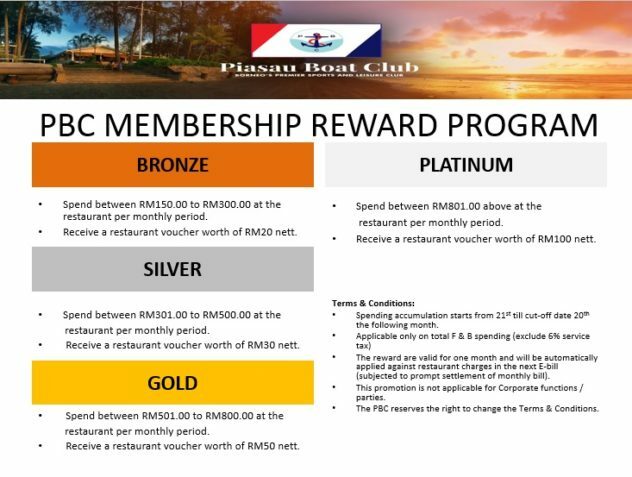 For non-members that patronise the restaurant, we invite you to join PBC and get the benefits from our reward programme, lower pricing at the restaurant and use of our sports facilities. Valued members, we hope these news will please you. 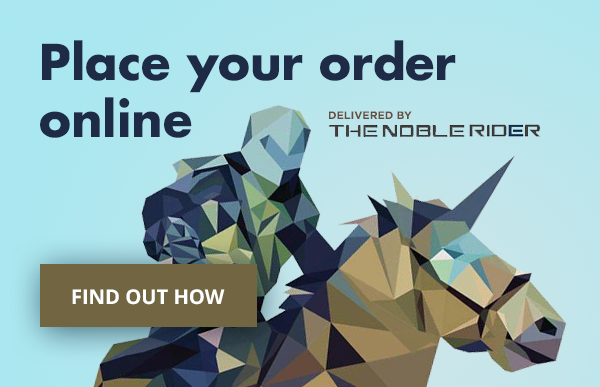 More incentives will be introduced to you in the near future.